Creative, intriging and complex. I envy everybody that haven't listened to this.podcast yet. I binged this for DAYS, and I am so sad that I finished everything that's been released! It's enthralling and treads that line between sci-fi and horror beautifully. A BONUS episode of TANIS featuring exclusive audio clips, Listener Mail and more! The search for clues takes Nic from the dark world of his dreams to an abandoned underground laboratory, and MK uncovers information that may finally lead them to Veronika. If you enjoy TANIS, please rate and review on Apple Podcasts, Spotify, Stitcher or wherever you listen! Check out our other shows RABBITS! Nic looks into something mysterious known as The Catalyst, MK reads an alchemical poem, and Cameron Ellis provides more information on certain entities potential agendas regarding the area he refers to as The Breach. Subscribe to LeVar Burton Reads! A recording isn’t quite what it initially appeared to be, Karl helps Nic explore some familiar territory, and something has MK resolutely freaked out. MK uncovers some very interesting items at a garage sale in Denver, the search for Veronika Pilman continues, and Nic’s sensory deprivation tank experience delivers another mysterious clue. MK delivers a strange recording, Karl has some advice, and Nic's struggle to find out what is actually happening in The Breach and choose between trusting Cameron Ellis or Paul continues as he confronts both sides to try and find the best way forward. Nic digs deeper into what happened in the woods in those sensory deprivation tanks, gets some advice from Karl, and tries to decide if either Cameron Ellis or Paul from the Cult of Tanis can be trusted. Nic looks further into the man in that convenience store surveillance footage, MK finds a recording that references some very familiar mythology, and a strange old book leads to a haunted hotel and a mysterious cult. Subscribe to Wolverine and Unexplained Mysteries! Nic tries to find out exactly what happened during his float in the woods, and continues to dig into what happened in Russia with Grigori Rasputin. MK does her best to explain everything we know so far, about the Cult of Tanis. Nic and MK look into strange events that may have taken place in the sky above the pacific northwest, the sleep therapist’s sister might have a clue, and Karl surprises Nic with something out in the woods and right out of the past. Nic encounters a stranger in the woods with a message, uncovers some Russian hippies in Greece who might be connected to Tanis, and looks into a weird guidebook that might provide a clue. Nic experiences some interesting pipe music, his doctor orders a brain scan, and, as Nic and MK begin to seriously explore the ramifications of multiple breaches, Cameron Ellis becomes harder and harder to track down. In the Season Four premiere, Nic reveals what happened to him in Russia at the end of Season Three, and begins to dig into what potential multiple breaches like the one in Russia might mean for the future of humanity. Nic continues to explore the strange meaning of his dreams, and a mystery in Russia shares certain qualities with what’s been happening in the Pacific Northwest. 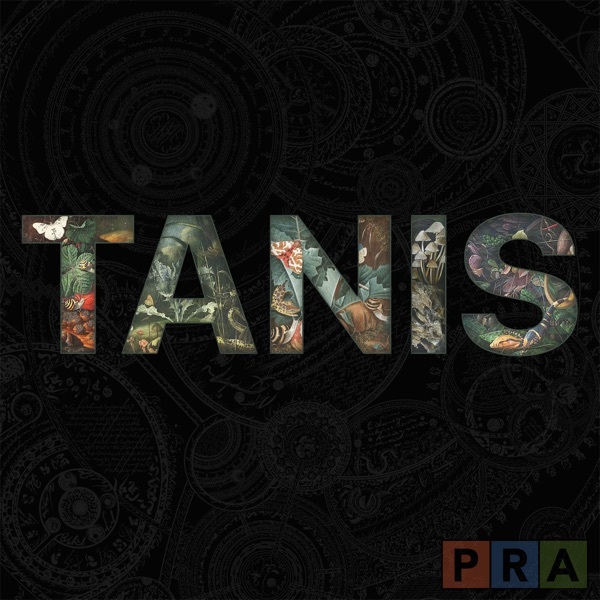 If you enjoy TANIS, please rate and review on iTunes or wherever you listen! Nic’s dreams get stranger and more enigmatic, Cameron Ellis and Cult of Tanis Paul have more to tell us about Tanis, and Nic and Callie move closer to the mystery of Sector Eleven. Nic visits Providence, Rhode Island, birthplace of Lovecraft and home to the Providence Athenaeum, and we learn more about The True and Natural History of Eld Fen. Nic heads back to the town of Saint Raywood, Washington looking for Grackles, he and MK try and figure out how three distinct corporate entities fit into everything that’s happening, and Nic’s sleep doctor continues to help him explore his dreams. Nic continues to dig into his dreams, Paul from the Cult of Tanis has some advice, and some old work logs from Pacifica Station tell a familiar story. MK loses one of her heroes, we get some answers to the van Sant question, and Nic continues his work in The Breach, with a focus on exploring the mysteries of Pacifica Station. Nic’s dreams grow increasingly strange, Marcus Corey answers some questions, and Nic pays a visit to an old friend of the van Sant brothers. As the search for Geoff van Sant continues, a new friend uncovers a pair of ancient folktales, and Nic continues to explore how his dreams or memories might be related to Tanis. A BONUS episode of TANIS featuring Listener Mail! The search for Geoff van Sant continues, Nic receives a call from an old friend, and all lines begin to lead to Pacifica Station. Nic and MK continue to look into a possible Nikola Tesla connection to Tanis, which leads them to an old asylum in the Pacific Northwest. Nic and a new friend pursue a lead concerning the last known location of Geoff van Sant. Nic continues to look into the disappearance of Geoff van Sant, while MK uncovers a potential connection between an ancient artifact, Tanis, and a rather famous scientist and inventor. Nic has an exciting announcement! MK uncovers a potential link to Tanis in current events, and Nic continues to dig into the mystery of Tanis, and what happened in the woods at the end of Season Two. A BONUS episode of TANIS featuring the first episode of our Patreon only mini series "Sandy Island"
A BONUS episode of TANIS featuring Listener Mail and more! In the Season Two finale, Nic continues to try and find Geoff and decipher the mysteries of both the Poeticon Astronomicon and the Voynich Manuscript, before his meeting with Veronika, Nathanial Carter and whatever mysteries lie at the center of Tanis. Please rate and review on iTunes or wherever you listen if you enjoy TANIS! For fans of mystery, true crime, suspense, science, narrative, drama, npr, serial, science fiction, horror, scary, mysterious, creepy, gimlet, this american life, the black tapes, alex reagan, nic silver, pnws, terry miles, paul bae, podcasts, podcast, wnyc, kcrw, itunes, eld fen! A BONUS episode of TANIS featuring Nic and Geoff, Listener Mail and more! Nic isn’t sure who he can trust as he moves closer to uncovering how two mysterious documents and an ancient celestial convergence might be connected to Tanis. Nic resumes his therapy with the hope that it might lead to some answers, while a lead from Meerkatnip’s friend has Nic and MK looking to the stars. The Voynich Manuscript continues to provide clues that might lead to Tanis, and Nic finds himself at Pacifica Station with far more questions than answers, as the mystery of Tanis appears to be asking him to choose sides. For fans of mystery, true crime, suspense, science, narrative, drama, npr, serial, science fiction, horror, scary, mysterious, creepy, gimlet, this american life, the black tapes, alex reagan, nic silver, pnws, terry miles, podcasts, podcast, wnyc, kcrw, itunes, eld fen! For fans of mystery, true crime, suspense, science, narrative, drama, npr, serial, science fiction, horror, scary, mysterious, creepy, gimlet, this american life, the black tapes, alex reagan, nic silver, pnws, terry miles, paul bae, podcasts, podcast, wnyc, kcrw, itunes, eld fen, hp lovecraft, august derleth! Nic and MK uncover a mysterious guru and an interesting connection between Nic’s name and Tanis, while Nic’s working in the area Cameron Ellis refers to as “The Breach,” begins to have a very strange effect. Nic’s exploration of the Voynich Manuscript continues, and Meerkatnip digs up some new information on the mysterious Nathanial Carter. A BONUS episode of TANIS featuring Nic talking TANIS with Geoff, Listener Mail and more! A special MINI EPISODE episode of TANIS featuring Nic's Journals from Season One of TANIS. Support TANIS and hear the rest of the MINI and BONUS EPISODES and more! Nic sits down with Paul to talk about the Cult of Tanis, MK digs up more on those mysterious research studies, and Nic and Geoff take a walk in the woods. Nic and MK dig deeper into Lyle Stevik, Nathanial Carter and The Navigator, and the appearance of a strange ancient manuscript has Nic asking new questions. Cameron Ellis teaches us a thing or two about cephalopods, MK answers a few questions, and Nic gets to the bottom of the mysterious rock and key. Cameron Ellis provides more information about what might be happening with what he calls “The Breach,” Meerkatnip digs up a strange audio recording on the deep web, and Nic uncovers a mysterious key. Cameron Ellis has something hidden in the basement, and a letter addressed to Karl van Sant leads to a mysterious John Doe in the Pacific Northwest. THANK YOU TO OUR SPONSORS: Squarespace, Stamps.com, Bombas Socks! A BONUS episode of TANIS featuring teaser/trailer/updates. Cameron Ellis opens up about what might actually be going on out there in woods of the Pacific Northwest, Nic tries to figure out what happened in the cabin, and Meerkatnip does her best to help him get his Tanis investigation back on the right foot. Nic’s uncovering Veronika Pilman brings him one step closer to discovering the truth about those mysterious research studies in the Pacific Northwest. Sam Reynolds’ condition deteriorates further, Morgan reveals more about Pacifica, and MK’s research into the Cult of Tanis and the Ancient myth of Eld Fen bring Nic closer to Haidagurl, and perhaps, one step closer to finding Tanis. Nic is taken into the deep woods of the Pacific Northwest to visit a mysterious group who call themselves the Grackles, and we finally get a look inside a long abandoned industrial complex. The search for Sam Reynolds leads to a strange duplex in Everett, Washington, a mysterious man has a proposition, and Nic continues his search for the elusive Haidagurl. Nic and Meerkatnip discover a large number of strange events seem to occur within one very specific region of the Pacific Northwest, Morgan Miller brings us one step closer to the Cult of Tanis, and Nic visits Raywood, Washington, a mysterious ghost town where a large number of children went missing in the early eighties. Meerkatnip uncovers a mysterious woman with ties to the Haida and Xanu, Morgan Miller and Sam Reynolds reveal a strange cult with possible ties to Tanis, and Nic opens his copy of The Dungeon Masters Guide, for the first time since high school. Nic finally meets the mystery woman in the garage, Karl van Sant has more to tell us from beyond the grave, and we take another trip back in time, to the dawn of the serial killer. The result of Meerkatnip’s exploration into the Pacifica problem ends up raising more questions than answers, and invasive events lead Nic to suspect that somebody sinister may have taken a serious interest in his story. Nic’s search for Tanis leads him back to Meerkatnip, who introduces him to two of the internet’s biggest mysteries, and the Jack Parsons connection comes to an explosive end in Pasadena. Nic learns that the myth of Tanis might not be as dormant as he first believed, as he discovers a contemporary mystery, just as strange and terrifying as anything in Tanis’s murky and cryptic past. As the search for Tanis continues, Nic tracks down the person who placed that strange Craigslist ad, and enlists “Meerkatnip,” an acerbic hacker, straight out of the pages of a Gibson or Stephenson novel, to help him try and make sense of a series of mysterious radio broadcasts. In the first episode of Tanis, our host, Nic Silver, wonders if the Internet age might contain one last great mystery, an ancient myth known as “Tanis.” His exploration into the enigmatic Tanis begins by asking the seemingly simple question, what is it? The answers, he soon discovers, are far more complicated.